Classic southwest style necklace! Lovely green and copper color turquoise from the Campo Frio mine in Sonora, Mexico. These are tiny 3mm heishi beads, be sure to look at the last photo where I have placed a dime next to the necklace so you can see how small these beads are. Accented with a few Bali silver beads and finished off with a sturdy sterling silver lobster claw. 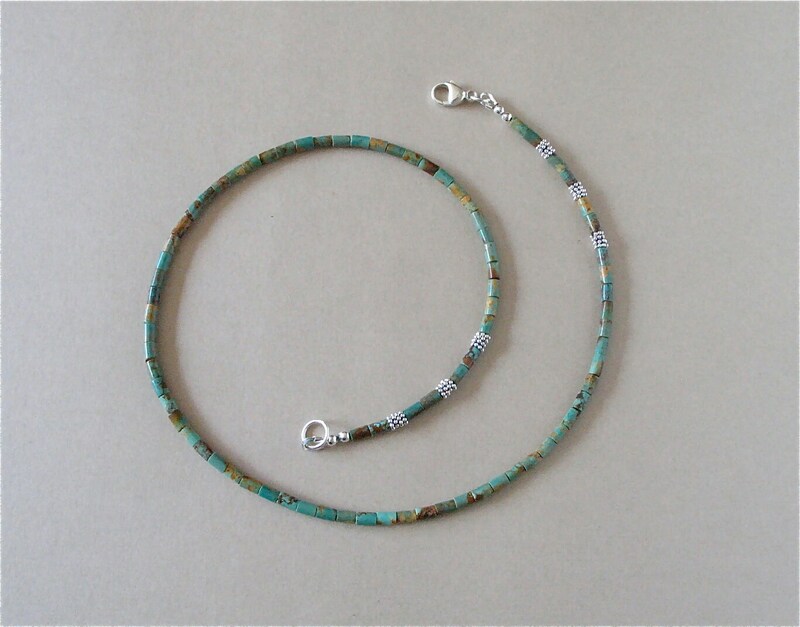 This necklace is 19" long, including the clasp. Perfect for stacking with other necklaces, or looks great by itself. Suitable for men and women.